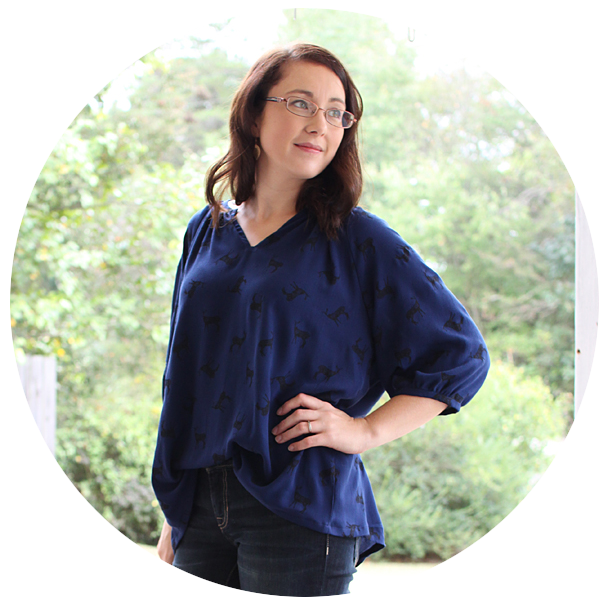 I have a fun and super simple little project for you today. Last week our church had a WONDERFUL parenting conference. It was like Date Night two nights in a row :) They provided a meal for the families and child care. See? Date Night! Not only did they have child care, they made sure the kids had FUN! The theme was Superheros and E came home with a fun cape and a paper superhero mask. He was THRILLED. Until the paper mask tore... So to help with the sadness I told him I would make him a new superhero mask that wouldn't tear. And I'm going to show you how I did it! Cut a strip of elastic 1/2 inch longer than the length of the template. Sorry I didn't measure, just eyeballed it. Then you can either trace the mask template onto the felt and then cut out, or if you're feeling lazy like I was, just hold the two layers of felt together with the template and cut out. 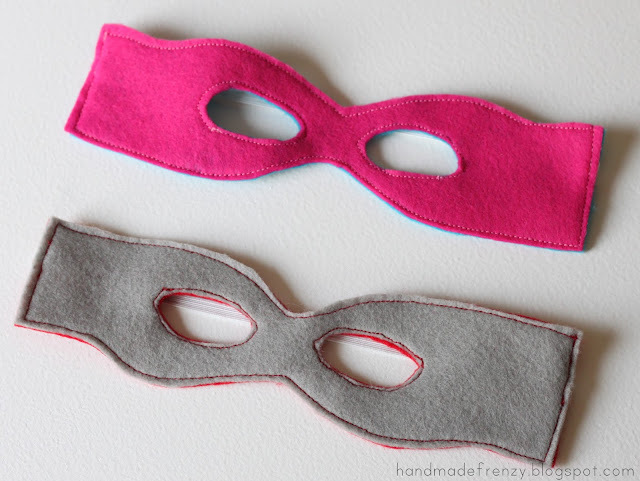 Trace the eye holes onto the felt. Sandwich the elastic between the felt layers and pin. I put it in 1/2 inch from the top of the mask. It hits the kids just above their ears this way. Sew close to the edge all the way around the outside. As you can see above, mine looked pretty messy, so I just cleaned it up with the scissors. Easy peasy. And tada! 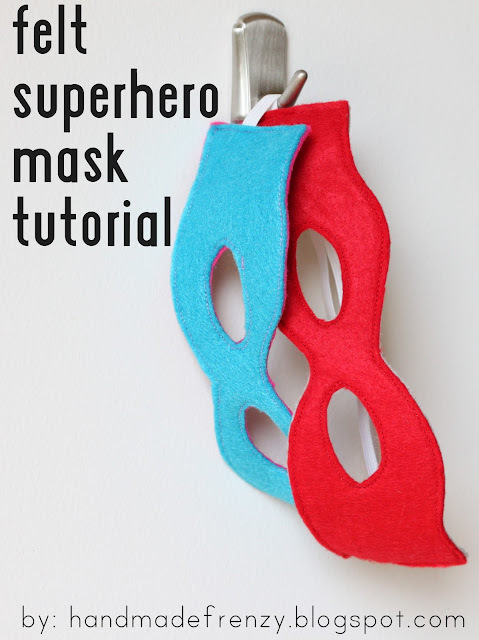 You have a fun reversible mask! They are so easy and fun for kids to pretend! If you make a mask (or 5) from this tutorial, upload your picture to the Flickr Pool, I'd love to see your creations! Thank you for sharing this cute idea with tutorial and pattern! That's exactly what my grandchildren need now. So I will go immediately and sew some masks for them as a Christmas gift.